Deer numbers are at their all time high in many parts of the country. Managing a coppice in one of these areas is hard work and can be extremely frustrating. 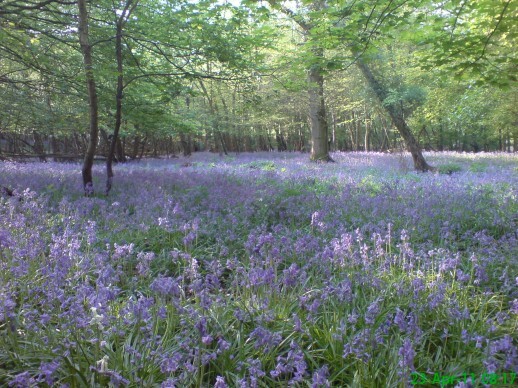 Groups like the Deer Initiative are being proactive in educating woodland owners and the public about the issues involved. The main problem being that deer are a natural ‘prey ’ species without any natural predators. The limiting factor to their population increase is likely to be the available food, and unfortunately that means for many of us, our woodlands and parks and gardens are coming under increasing pressure from their numbers. This article will give a brief account of my experience of managing a small mixed coppice on the edge of Ashdown Forest in the High Weald of East Sussex. 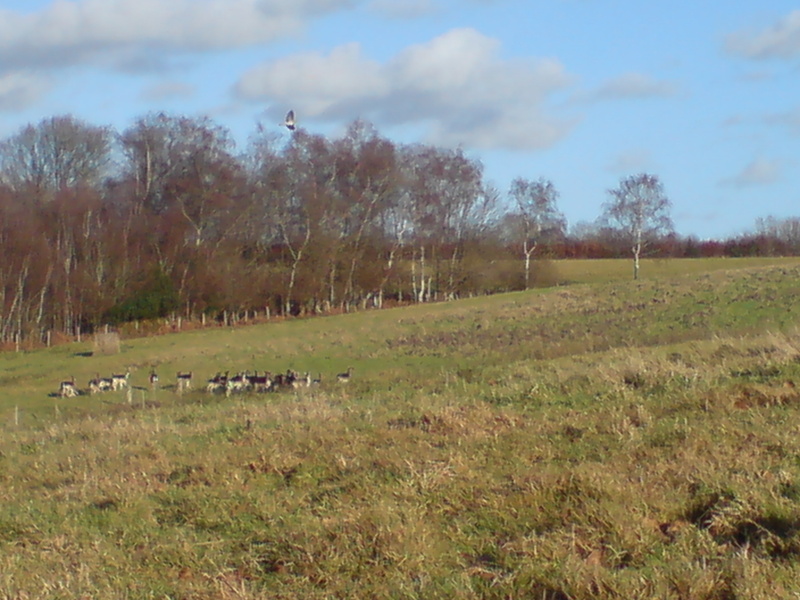 It has one of the highest populations of fallow deer in the country. When I first cut a cant of over-stood coppice stools, I was aware that I would have to protect the re-growth from deer browsing, but I never thought I would end up having to put so much time and effort into this part of the job. There are deer everywhere in the wood and grazing the adjoining paddocks, their hoof marks or ‘slots’ have worn tracks all over the place. Another sign of their high numbers is a distinct line where all foliage on the trees below about chest height is browsed off. The traditional way coppice workers have protected the new growth is by piling up all the brash into dead hedges around the cant. This is very labour intensive, so now a days, most people will use temporary mesh fence. This seemed like the easiest option to me too! I used a brand called tenax, it is tough woven plastic mesh 6ft high. You hang it on posts at about 3 metre intervals. 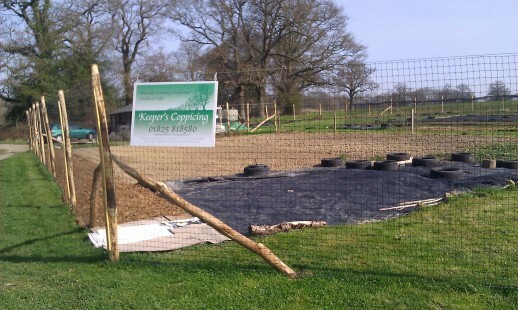 The proper spec is to but a tensioned plain gauge line wire top and bottom and hang the netting from this to stop it sagging and preventing the deer from jumping over or squeezing underneath. It’s a lot of effort and expense to do it this way, so with only a small area of coppice at first, I just strung it up between the posts and pegged it down in places, where I ‘thought’ it looked like it needed it. The trouble is the fence takes a lot of attrition. Other wildlife, rabbits and badgers, probably quite rightly, take a personal affront to this kind of barrier blocking their path. The netting will soon fray where these animals have pushed or chewed their way through it. Fallow deer will follow along testing the fence. It wasn’t too long before hungry deer had found their way in and started decimating the regrowth. Each year with each new cant, I would put more and more effort into keeping the deer out. I started piling the brash into rough hedges on the outside of the fence. This stops the deer getting close enough to the fence to jump over. They tend to like a standing start and won’t usually jump over something where they can’t clearly see the other side. I did put the line wires on, and this in combination with the piled up brash did stop them from getting underneath….. well for a while! Any fence is only as strong as it’s weakest point and this is usually the gates. I resorted to doubling up on them and constructing brash arches over the tops to deter them from jumping over. Eventually I worked out a system which I thought would keep them out and it did for a while, but I soon discovered that it doesn’t end there. I found the perimeter needed to be checked on an almost daily basis, the slightest chink and they would get in. Once that happened and you didn’t get them out fast, just one or two animals could ruin a whole season’s work. I suppose it’s all about getting the equation of effort vs reward balanced about right. 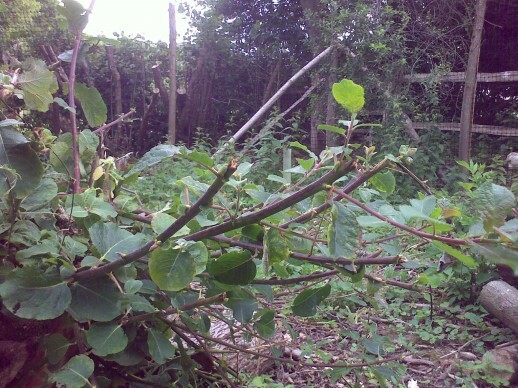 If you’re not too bothered about the end product and are coppicing to increase the habitat for wildlife, a certain amount of browsing could well be tolerated or even encouraged. 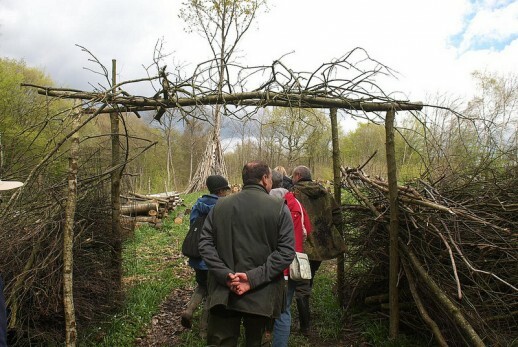 But if you’ve got some valuable chestnut or hazel coppice which you want to get back into rotation then you’ll probably want to have a zero tolerance and that means putting in a lot of effort into managing coppiced woodlands in those areas of the country where the population balance of deer has got out of control. 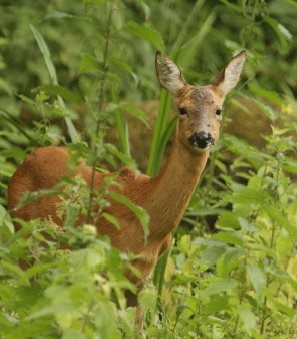 For more information about what you can do including managing their numbers look at the Deer initiative website.